This is the second in an ongoing series titled: Lifestyles & Investments. 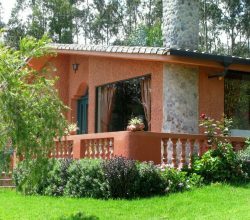 (Here is the first, in case you missed it – http://ecuador.escapeartist.com/salinas-ecuador-lifestyle-investments/). 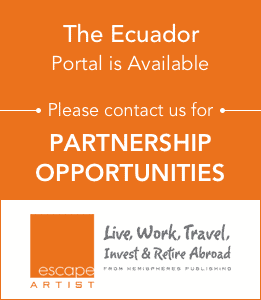 The focus will be on a “ground zero” first hand analysis of both investment and lifestyle opportunities in a targeted city locale, within Ecuador. Let’s face it. For some buying real estate is purely about the exit strategy and rate of return. For others, it is all about the feeling of “arriving at home”, with little consideration given to pure return on investment. Yet, for others, it is a subtle combination of both. No matter which category of buyer, or potential buyer, best describes you, I can assure you we will have you covered, in our Lifestyles & Investments section. Sell – We recommend selling your asset or portfolio as quickly as possible. If you haven’t bought in that market yet, then please don’t. Hold – If you have bought already, hang onto the asset and wait for further market developments. If you have not bought already, then do not buy now, but perhaps begin to look around for select future opportunities. Buy – Means that it is a good time to acquire an initial or additional real estate asset in that sub-market, due to favorable long-term market trends. 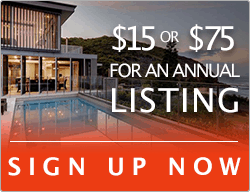 Strong Buy – Means that an exceptional market opportunity exists and that the time is right for the immediate consideration of an initial or additional real estate asset acquisition in this sub-market. For those looking at portfolio diversity, spreading assets across “strong buy” markets is advised, prior to focusing on “buy” markets, if investment opportunities is your sole or primary reason for purchasing real estate. We also employ two Current Trending Systems. The first is an upward momentum and downward momentum system intended to dictate if this property market is in an upswing or downswing from the last time we reported on it. Upswing markets will be denoted by an ↑ and downswing markets by a ↓. High Alert – Means that the market is almost certainly in for an upgrade or downgrade, depending on the specific factors in play. Moderate Alert – Means that the market is showings some signs of possible review, but the pattern is not definite enough to ensure the likelihood of an imminent upgrade or downgrade. Normal – Means that the market looks stable, with little in the way of extremely positive or extremely negative pending developments, which are likely to prompt either a near-term upgrade or downgrade. Steady as the current investment rating reflects. Without further delay, we introduce our most recent featured Lifestyles & Investments market: Olón / Montañita, Ecuador. Very rarely do we initiate market coverage, in a manner which takes two cities and joins them together for rating. Ironically, our previous Lifestyles & Investments Report focused on the dual markets of Salinas – Punta Carnero, while this current coverage also focuses on the dual markets of Olón – Montañita. Salinas and Punta Carnero were joined together, because both fall under the same Mayoral jurisdiction and that was a central theme to the market analysis. In the case of uniting Olón and Montañita, it is for a wholly different reason. Olón and Montañita would barely exist, at least in their current incarnations, one without the other. It is like one is the Ying to the other’s Yang. Generally, it is Montañita that is the better know, though they sit a scant 5 minute drive apart. Montañita is know as the “party capital” of Ecuador. Some have referred to it as “Venice Beach-like”, others as a tropical version of the Haight-Ashbury District, famed for its life circa 1960s San Francisco. I don’t think either description does Montañita justice or captures its unique essence and vibe. Tropical, certainly is a resounding theme, with its heavy emphasis on bamboo as a building construction material. It is a throw back to the day when Las Vegas was one gin joint, tacky shop and cheap motel, after the other. Before Vegas gave way to the bright lights, The Strip and the mega casinos. In fact, casinos may be the only thing you don’t find in Montañita. You certainly will find rows of restaurants, bars and dance clubs, one after the other, right onto the edge of beach, famed for its surfing competitions and warm waters. The tacky shops are there, also, although in Montañita, they are brought literally onto the streets, as street vendor after street vendor plies their wares to the huddled masses, usually pressed together along the narrow streets. There is no way to overstate the importance of surfing to Montañita. It is an internationally recognized and competition worthy surf site. Known for its warm waters, you can ply the surfing trade year round in Montañita, making it a global rarity. Some of the largest events held yearly in Montañita are regional and international surfing competitions. International TV crews cover the sporting events and it draws a truly international audience to the tiny shores of Montañita, Ecuador. For the rest of the year, Montañita provides unencumbered fun, especially for those that prefer to lounge on a gorgeous beach all day, sleep off a couple of hours, then start their nighttime adventures around when the clock strikes midnight and then rock into the dawn. It is that kind of a place. Hotel rooms in town should not expect silence on a Friday or Saturday night, until around 7 AM the following day. Montañita streets literally turn into impromptu dance halls, with a cacophony of music blaring well into the dawn. Once, this Montañita fun was had solely on the cheap. Turn back the clock a mere 5-6 years ago and Montañita was little more than sun-drenched, mud soaked smear on an Ecuador coastal map. Oh, it was still the “in crowd” place to party, but quietly, away from public eyes. Then came the President Correa road building campaign and the veil was lifted off this secret oasis. Mud roads were replaced by sidewalks. Septic systems were replaced by sewer. Ultimately, the low prices gave way to one of the most expensive locales in all of Ecuador. Perhaps the final turning point, which has, in my opinion, reached the point of no return, was the building of the Hotel Dharma Beach. Love it or hate it – I love it – most anyone in the Montañita to Olón stretch has formed an opinion on Dharma. It is hard to miss and equally hard not to opine. The impact it had locally was immense, as it cemented the new philosophy and drove the final nail in the coffin to the old. The Dharma was different in every way. Instead of bamboo, the owner wished to build a structure more akin to the Kremlin, the Taj Mahal or, certainly, an Islamic Mosque. The feel of the place is a cross between Russian and Arabic architecture. It is the tallest building in Montañita, which meant it had to challenge height restrictions. In a town famed for $20/night hotels, the Dharma would charge no less than $150/night, minimum. Some questioned the owner’s sanity, when news of the plan hit. I applauded the ingenuity and the forward thinking. He saw the emerging Montañita which would exist 10 years in the future, while others, eyes planted firmly in the rear view mirror, could only see the Montañita of ten years gone by. Let me be clear. The Dharma did not create a price explosion in Montañita. The Dharma merely recognized the trend on a grander scale. Many ticky-tacky shops have been replaced by boutique-like purveyors of fine wears. The once prolific $5 dinner, while still possible, has been replaced by the $15-$20 dinner, more often than not. While some might think I jest, referring to such pricing as “high”, we are discussing Ecuador. Frankly, outside of locales in Quito and Guayaquil, Montañita may have become the most expensive town in Ecuador. What created this pricing explosion? The usual…demand. Why? Mainly two reasons and the second reason is Olón. The first reason, however, is exceptional marketing. Rivalled only by Cuenca, Montañita has been on a shameless 5-year long self-promotion campaign almost unseen anywhere else in Ecuador. Not in the Galapagos. Not in the storied capitol of Quito. Brash self-promotion, pure and simple. The resort town king of Salinas could have learned something from the once “little brother” of Montañita. If the next Mayoral elections in Salinas do not usher in a sea change of perspective, I would express zero surprise to see Montañita usurp the “resort king” crown from Salinas in 5-10 years. Besides the brash self-promotion, which drove up interest and demand, thus impacting rapidly rising prices, the other reason for the Montañita boom is found a scant five minutes away, in the sleepy hollow residential haven of Olón. Truly, Montañita and Olón are a modern day “Odd Couple”. Separated by only a 5 minute scenic drive, they reside world’s apart. Montañita is so commercial that nary a residential apartment, house or condo exists. Olón is nothing but residential, with nary a commercial space to be found. It is a tropical bedroom community, nestled on one of the Pacific Ocean’s most beautiful and unspoiled beaches. Here, miles of beach are interrupted only by the occasional large oceanfront residential estate, where the smaller houses generally start at 4,000 sf. This had long been the secret hideaway of the Ecuadorean elite. However, the more Ecuador went on a global radar screen, the more expats fell in love with the secluded beaches of Olón. Soon, demand was outstripping supply, as expats poured into the sedate and beautiful enclave. Now, I can almost hear what some are thinking, “Darned Yankees ruined it for everyone, driving up prices.” I am so tired of that myth. It takes two to tango and market prices are driven by simple supply and demand. If the demand wasn’t there, the prices would have remained tranquil. If the demand is there, in a fair, free and open capitalist market like Ecuador, the prices are going to rise. It is basic economics, not a foreign invasion, at play here. Play it did, most definitely. So, the dynamic went something like this. Montañita pushed to be recognized as a playground location. The rising tide of expat interest came to see what the “Montañita fuss” was all about. They fell in love with the region, but could find no suitable housing in Montañita proper. They drove down the road five minutes to Olón and fell in love all over again. Houses switched hands and a different consumer market arose overnight in Montañita. A consumer market that expected better quality, but was willing to pay. Montañita businesses have begun to oblige. How is any of this relevant to your lifestyle or investment goals? Hopefully, I am about to show you. From a lifestyle perspective, Olón – Montañita is truly a place where you can have it all…almost. It is the quintessential “have your cake and eat it too” locale. Want natural beauty, peace and tranquility ? Olón has got you covered. 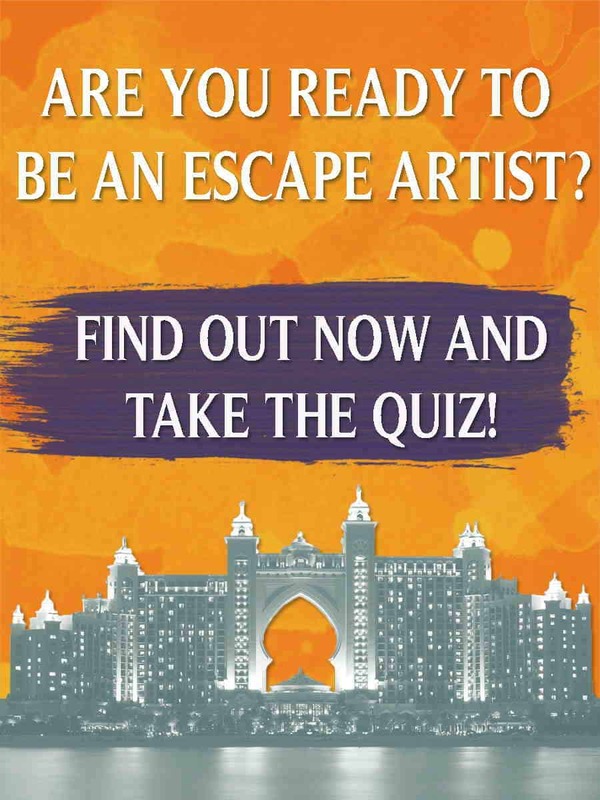 Want to enjoy raucous good fun, diverse restaurants and a place to dance the night away ? Montañita has got you covered, only five minutes away. For those that think ahead, let the cab company prominently located in Montañita do the heavy lifting for you. They can pick you up from Olón with a just a quick call and whisk you back later that night, when you are ready to return. Only a five minute drive, but Montañita is an awful tough place to find a “designated driver”. Amongst the best in Ecuador. Not my opinion. Poll after poll has ranked Olón beach as amongst the most beautiful in Ecuador. Want a quiet, family-oriented and sedate beach ? Park your umbrella on the shores of Olón. Want a younger beach crowd, with beachside bars and plenty of loud music blaring ? They are holding a lounge chair open for you in Montañita. Suffer from multiple personality disorder, or simply find that you are a Gemini on the Zodiac chart ? Well, enjoy the best of both worlds, whichever way your personal winds of change are blowing on any given day. Again, all this, a scant five minute drive apart. The commercial drive of Montañita, supports the bedroom community of Olón, while the residential space of Olón, provides the housing for the proprietors and staff of the commercial space in Montañita. The perfect Ying and Yang balance. Is it any wonder that this entire coastal stretch is exploding, as far south as 20 minutes from Montañita and as far North as 15 minutes from Olón ? For my savvy investor friends, this region is on fire. While my deep value crowd will be disappointed, as those “deep discount valuation” days are long gone for the region, it still remains a solid investment “Buy”, even at today’s prices, with the brightest trends yet to come. Let’s explore that investment side of Olón and Montañita, then tie it back into the lifestyle component, where the crossroads meet. Investors, here is why you should be looking at the Olón / Montañita market. If you are a commercial real estate buyer, or simply someone looking to establish a business in Ecuador, and your goal is to hit the tourist market, it is hard to miss in Montañita. The heavy lifting has been done for you. Exhibiting the same magical energy found in Salinas 10 years ago, Montañita pulsates with the vibrant beat of energy and growth. I know it sounds cliche, so I will put my money where my mouth is: If you don’t feel that heat of energy on a Friday or Saturday night in Montañita, dinner is on me. All I ask is a gentlemen’s agreement that you be candid. It is literally palpable the force of energy in that place. Yet, the beauty for the astute investor is that the highest and best use of the commercial land is at the “barely off the ground” stage, as the great vision by the folks behind Hotel Dharma Beach proved. Innovation is king. Service is queen. Innovate, or take the existing and merely provide better service, and you can expand your revenue by financial multiples. You will be like a bobble head doll, on a swivel, one opportunity after another. The proverbial kid in the candy store. Oh, I know many of you are thinking I exaggerate. My friend and client, George, did, until I took him there. His head is still bobbling weeks later. The commercial growth tidal wave is hitting this area hard, but it is still the early stages for commercial investors. For residential real estate investors, all I can say is where commercial expansion and economic explosion are occurring, history shows us is the ideal place to maximize your return on residential real estate. The proverbial “path of progress” dynamic, only this isn’t so much a “path” as a highway…literally. A coastal one to boot. 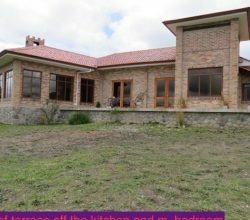 Linking back to a previous article I wrote, titled, “Defining Value in Ecuador”, we have 5,000 – 6,000 sf estates, on sizeable pieces of real estate, square on the Pacific Ocean, on an idyllic beach, selling for $750,000 and under – sometimes, well under. Forget the silly comparisons to Laguna Beach, Cabos, Boca or even Rio. How about comparing Olón Beach estate prices to Cartagena, Colombia, our neighbor directly to the north, or Lima, Peru, our neighbor directly to the south. We are talking multiples of 300%, 400%, 500%…and more. The value is there, even if the prices appear to inspire sticker shock, for Ecuador. All this in a community fed by a beautiful, well-maintained and scenic coastal highway. Tighter budget investors can still break into this market, several ways. While rare, one can occasionally find a smaller, rehab ready oceanfront home in the $180,000 – $250,000 price range. Another option is to land bank vacant lots and wait for the developers of the future to arrive. Their footsteps are, quite literally, already being heard, with at least six serious and real developments on the way, in the region. Lastly, a more budget conscious investor can look a bit inland, where houses in move-in ready condition (for most) can still be had for $110,000 – $180,000, with rehab-ready houses capable of selling for under $100,000. With all these advantages, surely the Olón / Montañita market should warrant a “Strong Buy” rating, or so one might think. Not so fast. There are some negative factors to consider. First, the Olón – Montañita market lacks core, basic commercial service support. Residents there still do the once per week or twice per week trek, one hour each way, into the Salinas area for “real shopping”. Simple things like the lack of a true grocery store, hinder the community progress of Olón – Montañita, but would make for an interesting commercial venture. Likewise, other core infrastructure is weakened in that region. Hospital and medical care, while improving, is still lacking in the Olón – Montañita market. A solid school system is still evolving. Police and fire/rescue response times remain less than ideal. Additionally, there is the issue of Comuna Land. While I have discussed this topic before in previous articles, an in-depth coverage would require an exhaustive volume of work. In short, the closest analogy is to think of Ecuadorean Comuna Land as the indigenous Native American land we refer to as “Indian Reservations” in the USA. 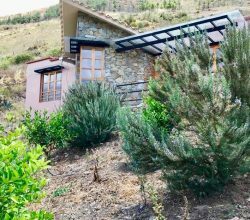 While the concept is not identical, Comuna Land is overseen by the indigenous inhabitants of the region and does not immediately offer “Free and clear Fee Simple” title. It can be converted to Fee Simple, if the right legal steps are taken, which require consulting with legal counsel, not some “wanna be” lawyers, which seem to permeate my profession. That’s not the real issue. The real Comuna Land issue is that transferring title into the Ecuadorean equivalent of Fee Simple, free and clear title, requires the cooperation of the local Comuna administrative body. The Comuna of Montañita has, frankly, received the reputation for being amongst the most difficult to work with, anywhere in Ecuador. Some, favoring Comuna Land rights, applaud the hard-nosed stand, of the Montañita Comuna. Others see them standing in the way of progress and the economic betterment of the region. Whatever one’s personal persuasion might be, there is no getting around the issue that for investors and lifestyle conscious buyers alike, clear real estate title is essential and the cooperation of the local Comuna is key. Another factor working against a “Strong Buy” rating is the current low real estate inventory in the market. If you are already a current owner, well, you are sitting pretty. But for new money coming into the market, a limited inventory means a great deal of patience and working with the right real estate professional, who truly knows the market. Lastly, there is the “Salinas effect”. While Montañita and Salinas can readily co-exist as tourism centers in their own right, how high Montañita soars as a commercial district is impacted by the relative success of Salinas. The progress of Montañita in the last five years occurred during some of the darkest days for Salinas, in terms of marketing, promotion and consensus of commercial and tourism agenda. With the new airport in Salinas having just opened and with a new Mayor, the tide may be changing in Salinas. Can Montañita still carve out its own market niche, as it evolves down a path of progress, which will likely make it more similar, than radically different, from more established Salinas? Only time, or a less fuzzy crystal ball than mine, will tell, but it certainly creates cause for concern. In short, whether your are a lifestyle seeker or a genuine real estate investor, the Olón – Montañita market has way too many positives, outweighing the more limited negatives, thus the current “Buy” rating for the market. This is why real estate builders and developers are starting to turn a strong eye towards this region. An astute investor will want to get in ahead of the builder and developer onslaught, which I feel is but a few years away at most. A particularly attractive market niche is vacant land in the region. Prices for land in the region, just a bit away from the ocean can be extremely attractive, especially when one considers a relatively reasonable exit strategy holding period. For lifestyle real estate buyers, the cheap land allows for more house to be built, as well as offering the opportunity for business in the hospitality, tourism and farming industries. All this, within the framework of the privacy that a larger, less expensive, parcel of land might offer. Whether looking to buy real estate or a business, more as a lifestyle choice or an investment choice, we would be glad to explore existing opportunities, with our readers, in the Olón – Montañita market. It is an attractive market, on an upswing, which currently receives a Moderate Alert for a rating revision, almost exclusively based on whether the current infrastructure levels can withstand the rising pressure from increasing commercial and residential activity, as well as the impact that a resurgent Salinas market might have on the region. Still, the relative risk is low, with the opportunity very enticing. We recommend a Buy for the Olón – Montañita market, with an eye towards patience, in order to find the better value opportunities.